Your Server, Improved! 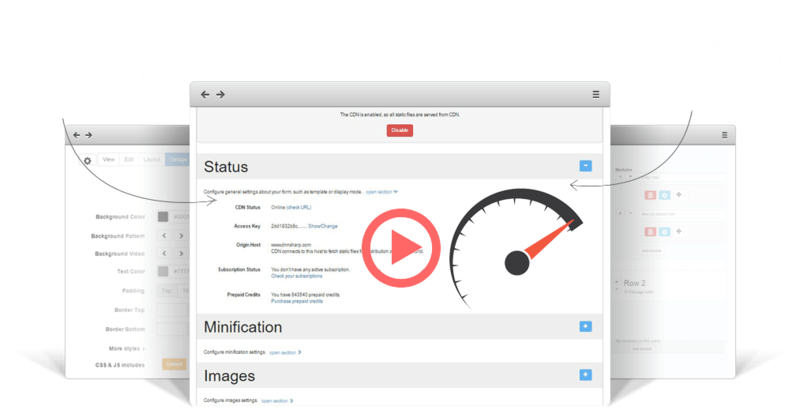 SharpCDN is the easy way to improve the performace of your website and reduce load on your web servers by moving content phisically closer to your visitors. Don't take our word for it, see it in the video here and try it for yourself. Getting started is as easy as 1,2,3. You just need to 1-Install, 2-Open Module and 3-Enable CDN. It's what we like to call hassle free optimization. We've designed it in such a way to cover all our customers' needs and to let them in charge of the cost with a safety net included. You can choose the monthly subscription or the prepaid views and never worry that it will stop working thanks to the Free Tier included. If you're just starting up and would like to see how the CDN will improve page loading time and server load then just go with SharpCDN, our Free Content Delivery Network service. The prepaid Page Views you purhase have the same features as the Premium Plan and they do not carry an expiry date. The payment for prepaid page views(credits) is not recurrent. Frequently asked questions cover answers to most of the questions that you might have related to SharpCDN. Please read this section carefully before waiting for support. Who knows? You might find the answer quicker than expected. Yes, you can take advantage of all the benefits brought by SharpCDN by starting your free subscription. Updates and Support are offered for as long as you use SharpCDN but the response time will be directly dependent on the type of subscription that you have. Custom and Premium Plans support tickets are the first ones to be solved. Then the Pro plan has priority and finally when all the tickets for the paid plans are solved we will be offering support for the Free plan. FAQ 4. What is the order in which the Page Views are consumed? We've designed the Page Views consumption logic in such a way that it will serve in the best interest of your site's visitors. Subscription views will be used first, then the prepaid Page Views and your 500 free page views will be used as a last resort because of the limited features they offer. FAQ 5. What if I really run out of Page Views? Don't worry, your website will still be working but all the content will now be served from your server instead of the Content Delivery Network. FAQ 6. Can I upgrade to a different plan later? FAQ 7. If I purchase one collection (App Sharp or Web Sharp), will I receive access to SharpCDN or any discount? When it comes to support we pride ourselves in going the extra mile for our clients. One of the greatest joys we get is the awesome stuff we see based on the concerted effort of both our clients and ourselves. With dedicated support staff at your back, you can be sure that you will get your DNN portal up and running without a hitch. We've designed it in such a way to cover all our customers needs and to let them in charge of the cost with a safe net included. You can choose the monthly subscription or the prepaid views and never worry that it will stop working thanks to the Free Tier included. 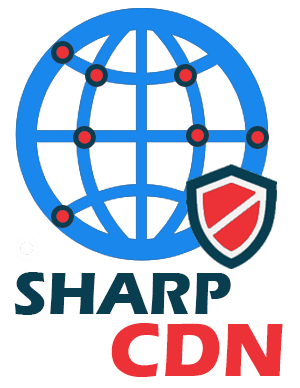 If you're just starting up and would like to see how the CDN will improve page loading time and server load then just go with SharpCDN our Free Content Delivery Network service.